Written by Hugo Gorringe and Karthikeyan Damodaran. Dalit votes could be decisive in the 2019 general elections in India. One of the pillars of the Bharatiya Janata Party’s (BJP) success in 2014 was its ability to reach out to voters beyond its traditional constituency and make inroads into the Dalit vote. The BJP emphasis on development and economic growth for all captured the aspirations of the younger, educated Dalits in particular, and BJP leader Narendra Modi was carefully projected as an ‘everyman’ prime ministerial candidate who rose from poverty to assume political office. It was this expansion beyond its traditional upper caste vote base that enabled the party to make huge gains in the key state (due to its size) of Uttar Pradesh (UP). The fact that the BJP gained an outright majority in Parliament, however, can obscure the fact that it won with only 31 per cent of the vote share, much of which was concentrated in its heartlands in the Hindi belt. Consequently, the Dalit vote, which constitutes approximately 17 per cent across much of the country, may be pivotal in determining whether the BJP is returned to power or not. Sensing this, the sociologist Ajay Gudavarthy last year suggested that the opposition should rally behind Mayawati as its candidate for Prime Minister. 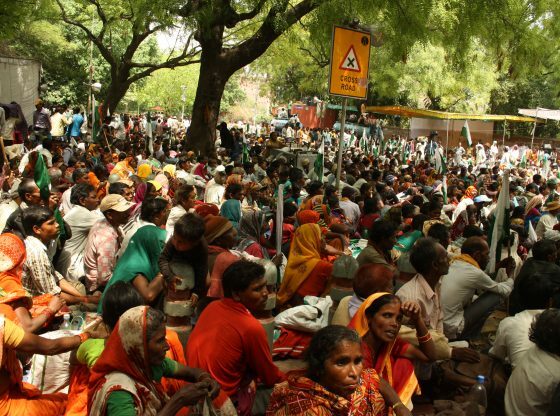 In this article, we consider the extent to which the BJP might hope to retain its Dalit supporters, discuss whether the opposition might be able to attract Dalits away, and reflect on the continued salience of caste in Indian politics. One of the most common critiques of the mainstream parties by Dalit politicians is that they only pay attention to Scheduled Castes (SC) at election time. As Thirumavalavan, Dalit leader of the Liberation Panther Party (LPP) in Tamil Nadu put it: ‘Time after time they have used Dalit people as a vote bank, to be thrown away like a curry leaf after eating’. The 2014 BJP campaign promised to change that trend in several ways. First, the BJP did not just target Dalits as a vote bank but as part of a wider population whose ambitions had been frustrated by previous regimes. Second, where Dalits were the focus of the campaign, the BJP committed to eradicating manual scavenging, brought Dalit leaders into the National Democratic Alliance (NDA), and hailed B.R. Ambedkar as a global icon. Christophe Jaffrelot argues that the BJP underwent a process of ‘Mandalisation’, in which it moved away from its traditional upper caste base to incorporate a wider range of Other Backward Castes (OBC) following the Mandal Report and its implementation in the 1990s. Although the above might suggest that a process of Dalitisation is now underway, it is important to look beyond poll promises to actions on the ground. Immediately, question marks arise over the BJP’s relationship to Dalits. One of the BJP’s manifesto commitments that was rapidly implemented was the ban on cow slaughter across several states. This move speaks to the continued upper caste character of the party in ignoring the fact that Muslims and Dalits rely on beef for cheap protein and leather for their livelihoods. The beef ban did not hit Dalits simply in terms of consumption and income – in several cases Dalits were subject to violence by self-appointed gaurakshaks (cow protectors). In one notorious case, a group of young Dalits who were skinning a dead cow were set upon and thrashed in public by vigilantes. When a video of the incident went viral, a BJP legislator opined that the Dalits were rightly ‘taught a lesson’. Dalits, it seems, are only acceptable to the BJP on condition that they abandon beef-eating and working with leather. The poor response of the authorities to this incident led to an uprising of Dalits in Gujarat as well as the election of Jignesh Mevani, who remains an outspoken critic of the BJP. Other promises have been similarly flouted. Manual scavenging not only remains an issue, but the deaths of those compelled to submerge themselves in sewers have met with silence. Activists have been harassed and termed anti-national, while after decades of campaigning against reservation, the party has promised to set aside 10 per cent for poor members of the forward castes. Finally, rather than enhancing development, the keynote policy of demonetisation has hit impoverished Dalits the hardest. It is uncertain, however, whether the disillusionment of many Dalits with the BJP will benefit the National Democratic Alliance. The Congress failed to secure an alliance with the Bahujan Samaj Party (BSP), and so instead the BSP teamed up with the Yadav-dominated Samajwadi Party in Uttar Pradesh. These two parties – traditionally bitter rivals – have united to counter the threat of the BJP, and the alliance could affect the BJP’s chances of gaining an absolute majority. Mayawati heralded the alliance as a ‘new political revolution’ and also pointed out the social resentment fuelling political solidarity: ‘It’s the alliance of not only two political parties but also of the communities that have been exploited and harassed under the BJP government’. The Dalits in UP are infuriated at Chief Minister Yogi Adityanath’s failure to do anything except for a few political gimmicks such as dining at the home of a Dalit or stating that Lord Hanuman was himself a Dalit. The BJP, in other words, is adopting the same politics of identity that it criticised Dalit parties for – a point made by Mevani in Gujarat with reference to the outsize statue of Patel. Anti-Dalit violence in the state has seen the rise of young Dalit icon Chandrasekhar Azad and his Bhim Army. He was jailed for a year on spurious grounds and has now pledged to defeat the BJP. The failure of the opposition parties to present a united front is revealed here, however, since Azad could eat into support for the BSP and the Congress party may attract Muslim votes, thus splitting the anti-BJP vote. In southern India, only Tamil Nadu has an autonomous political party representing Dalit interests, since elsewhere in the south Dalits are largely absorbed into national or regional parties. The experience of the Liberation Panther Party speaks to the continued significance of caste. The fact that they are contesting the elections on two symbols (the DMK’s rising sun and an independent symbol) and in two reserved constituencies highlights how caste calculations and money power dominate elections in Tamil Nadu. As elsewhere, SC candidates are rarely fielded in general constituencies. The caste of each candidate remains central both to their selection and which seat they stand from. The spiralling cost of elections, furthermore, is driving Dalit parties to depend on the major political parties, thus preventing them from growing on their own. Dalit resentment, in other words, may deprive the BJP of votes it secured last time, but is unlikely to generate a wave of its own. If the 2014 elections were hailed as the end of identity politics, the 2019 polls have seen identities return to centre stage. Rather than focusing on development across the board, the BJP is wooing smaller Dalit castes with a soft saffron agenda. This time it is the Congress Front – with its promise of a basic universal income for the poor – which is running an aspirational, development-focused campaign. With neither of the main players directly appealing to Dalits, the BSP/SP combo may end up as king-maker. Dalits, however, are divided along lines of region, religion, class, gender and sub-caste, as well as the usual differences surrounding interests, ideologies and welfare. Their votes in this election will go a long way towards deciding the outcome and highlighting whether caste trumps aspirational campaigns for India’s Dalits. Hugo Gorringe is a senior lecturer of Sociology at the University of Edinburgh. He is the author of Panthers in Parliament: Dalits, Caste and Political Power in India (2017). Karthikeyan Damodaran is an independent scholar who recently gained his PhD from the University of Edinburgh. He is the author of numerous articles on Dalits and Dalit politics. 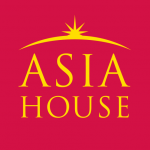 *Articles published by The Asia Dialogue represent the views of the author(s) and not necessarily those of The Asia Dialogue or affiliated institutions.